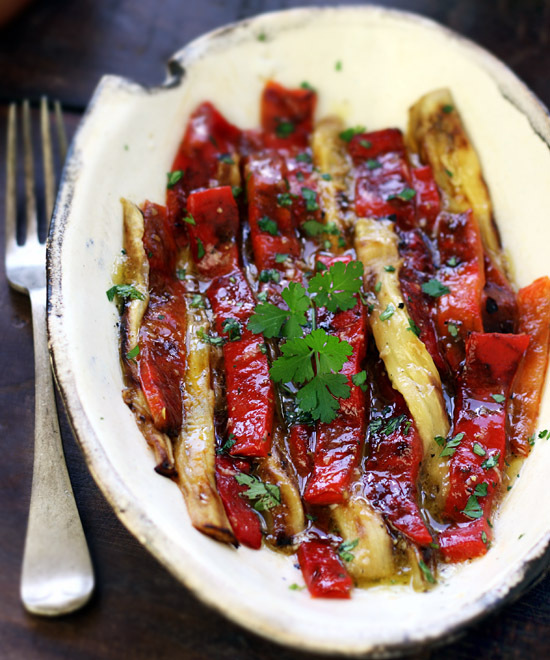 A colorful and robustly-flavored grilled vegetable dish that originates from the Catalonia region of Spain. 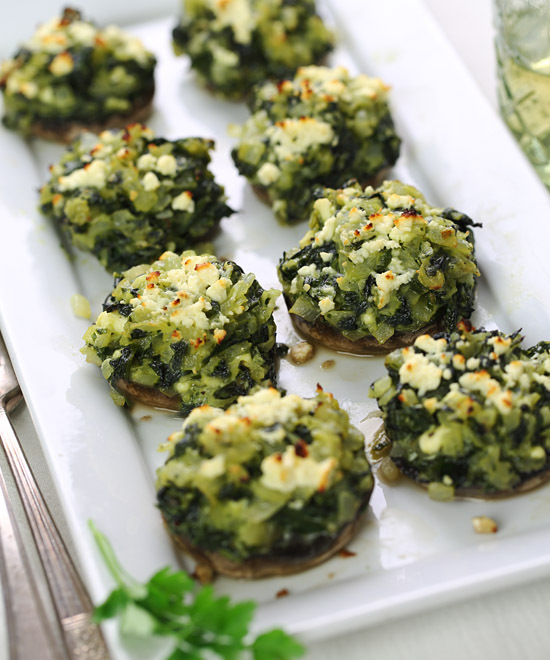 Portobello mushrooms stuffed with sautéed spinach, garlic, oregano and crumbled feta, and baked until tender. 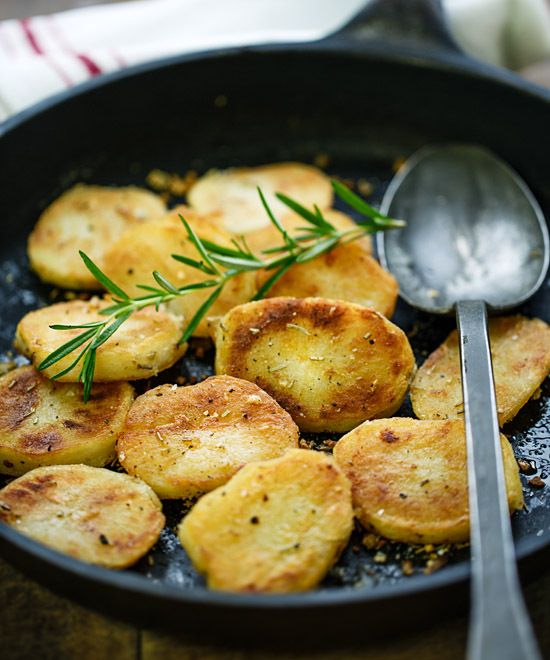 Thick potato slices pan-fried until crispy on the outside and fluffy on the inside, accented with rosemary, garlic and sea salt. 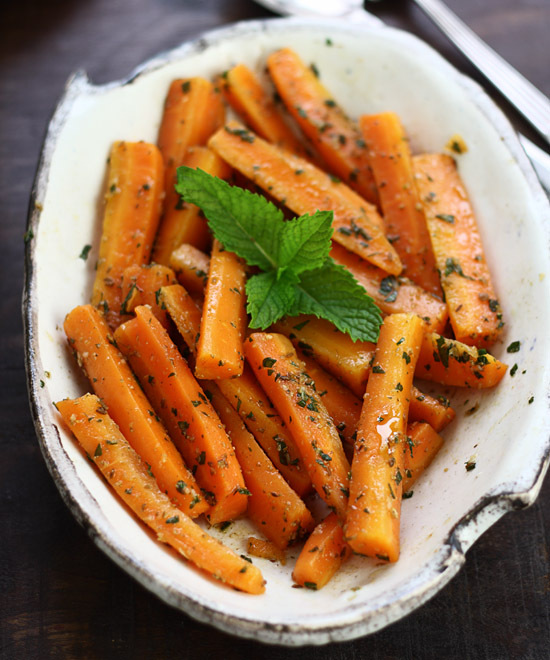 Tender cooked carrots tossed with a coriander, cumin and fresh mint dressing. 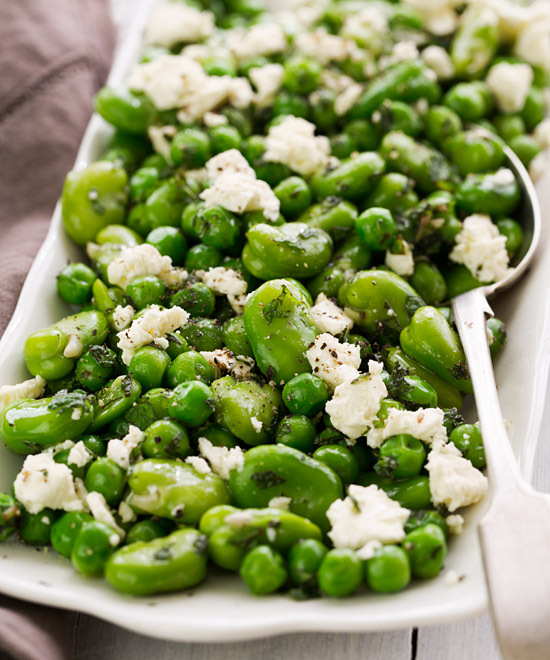 A simple and highly appetizing Greek side dish with green peas and fava beans (also known as broad beans) tossed with extra virgin olive oil, chopped fresh mint, cracked black pepper, and crumbled feta. 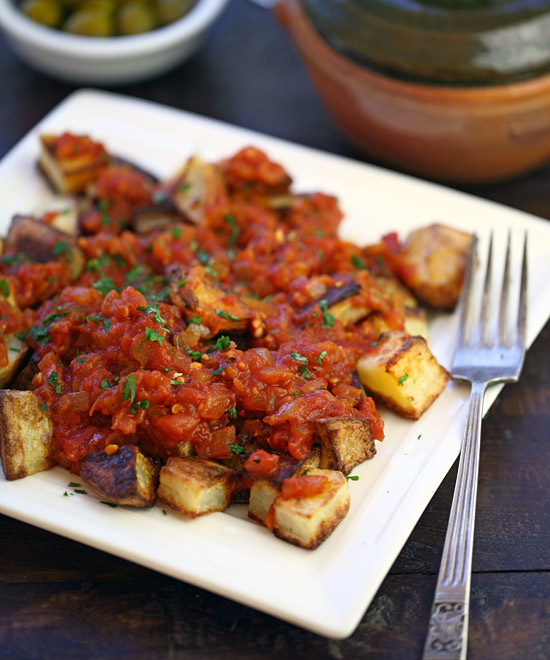 Patatas bravas is a Spanish dish of crispy potato pieces served with a rich and spicy tomato sauce. 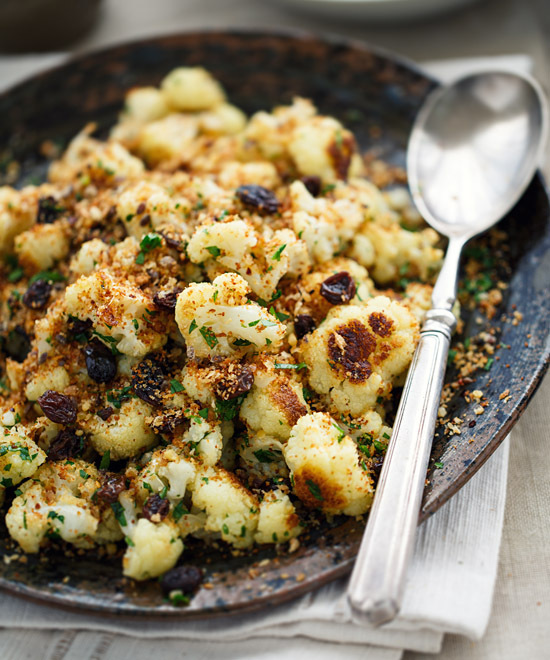 It's enjoyed as a tapa (appetizer) in tapas bars and homes throughout Spain, but it also makes a great side dish. 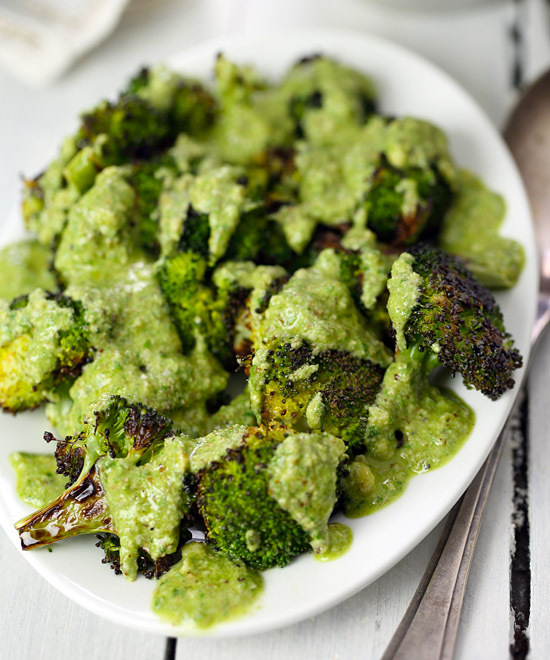 Roasting broccoli brings out a wonderful nuttiness, which goes particularly well with the toasted almonds in the rustic dressing. 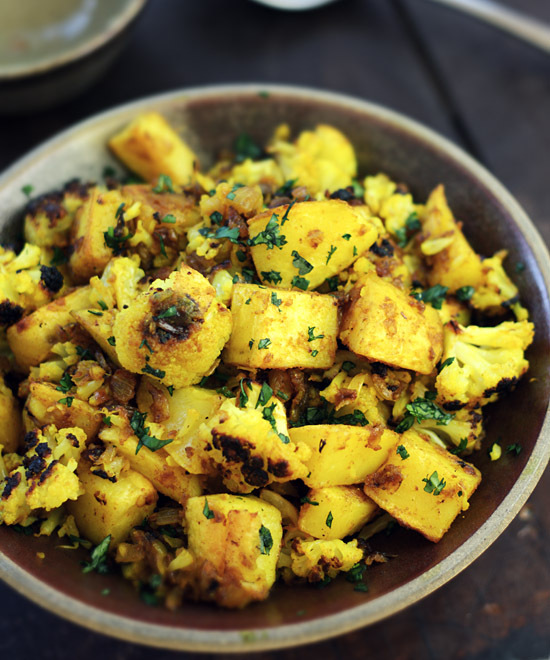 A tasty dry curry that combines potato and cauliflower with onions, garlic, ginger and fragrant spices.